15% Discount on list price! Discover outstanding driving comfort with premium traction tyre for loaders. Bridgestone’s VJT tyres offer outstanding traction, stability, durability and safety without compromising in terms of riding comfort. The VJT has advanced non-directional tread patterns for extra gripping power which ensures the same excellent traction moving forward or backward. They also have low vibration for supreme riding comfort and robust construction providing maximum reliability and longer speed range. Contact your T&C Sales Manager today! VJT sidewalls are optimised to minimise damage from cutting. Cut resistance is further enhanced by protectors to guard against tears and cuts due to heavy loads. For double reinforcement the left and right centre blocks on the tread surface are connected by two tie-bars. Upon surface contact these tie-bars minimise longitudinal and lateral elongation and deformation of the centre blocks. This reduces internal friction, minimises irregular block wear and extends the life of the tyre. The increased strength results in less vibration, less tyre wear and improved driving comfort. 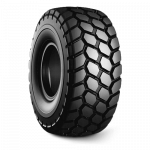 As the tyre travels, two specially designed vertical columns of centre tread blocks keep vibration at a minimum level. VJT’s extra-deep tread places it in the highest category for tread volume, resulting in longer tyre life. The VJT will keep on performing. Offer valid to 31 May 2017.